On February 10, the Iranian regime officially celebrated the 40th anniversary of the day it seized power. The fundamentalist and Islamist party of Ayatollah Ruhollah Khomeini surprised the international community and the Iranian people when in 1979, it hijacked a revolution. The successful power-grab sent waves through global politics. Although some people were aware of the intentions of the Islamist party, many underestimated the extent of its organizational skills and power. To harness both the trust and the loyalty of the people, Ayatollah Khomeini and his followers initially portrayed themselves as spiritual people who had no desire to rule the country. Many, including several political parties, also believed that, during a transitional period, the ruling mullahs would relinquish any power gained. As the mullahs began to generate support, they sought to gain even more by reaching out to other social groups. Khomeini's radical followers assured people of different faiths, such as Christians and Jews, that their safety and concerns would be a high priority once the new government was put into place. "In the holy Qu'ran, Moses, salutations upon him and all his kin, has been mentioned more than any other prophet. Prophet Moses was a mere shepherd when he stood up to the might of pharaoh and destroyed him. Moses, the Speaker-to-Allah, represented pharaoh's slaves, the downtrodden, the mostazafeen of his time. Moses would have nothing to do with these pharaoh-like Zionists who run Israel. And our Jews, the descendants of Moses, have nothing to do with them either. We recognize our Jews as separate from those godless, bloodsucking Zionists." "In Islam, Christians, Jews, and Zoroastrians are all accepted as equal -- unless they become a Fifth Column for foreign meddling in this country. Jews are accepted as Jews but not as defenders of Zionist aggression." It therefore came as a shock to those who had put their faith in Khomeini's radical party, that soon after its rise to power, these guaranteed protections quickly changed. The Ayatollah began pursuing an Islamist agenda; Sharia law was imposed word for word. "Death to America" and "Death to Israel" became statements chanted through the most influential offices as well as the streets. Whoever stood up against these harsh and vague laws often faced the ultimate consequences: swift and unquestionable executions. The head of the Jewish community, Habib Elghanian, a businessman and philanthropist, was executed immediately. His granddaughter, Shahrzad Elghanayan, writes that the execution had taken place "after a 20-minute trial on trumped-up charges." His murder sent a strong message that, under the new Sharia system, other religions would not be tolerated. Rule of law was out the window. Persecution of Christians, Bahai's, Sunnis, and other religious and ethnic minorities was ratcheted up. One of the regime's worst mass executions of political prisoners took place when approximately 30,000 individuals, including children and pregnant women, were executed within a period of four months. According to a US congressional condemnation, "prisoners were executed in groups, some in mass hangings and others by firing squad, with their bodies disposed of in mass graves." Some thought that the radical leaders of Iran would become more moderate over time. But 40 years later, the regime has increased its violence and become even more aggressive both within Iran and outside it. Due to its glorification of violence, and the encouragement of hatred and intolerance, terror and militia groups such as Hezbollah were formed. Iran made efforts to cooperate with Al Qaeda and to this day consistently trains and supports many other militant groups. Iran has been declared the top state sponsor of terrorism year after year; the Islamic Republic and its Sharia law are now a global threat. Even more surprising than Iran's flourishing indifference to the rule of law is that some Western politicians and governments have attempted, and are still attempting, to appease this inhumane regime. 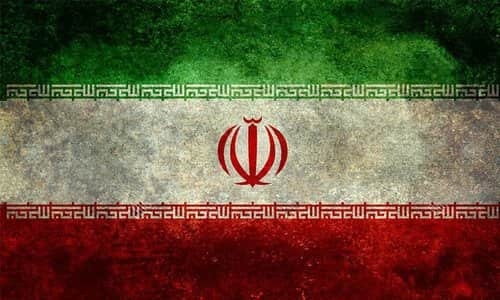 Former President Obama led the charge to lift four rounds of established UN sanctions against the ruling mullahs, and famously -- with no quid pro quo -- reportedly gave the mullahs at least $150 billion; under Director of National Intelligence James Clapper removed Iran and Hezbollah from list of terror threats to U.S. interests, and sidestepped sanctions to give Iran secret access to the US financial system. The mullahs, not surprisingly, used it to promote terrorism, fund their Islamic Revolutionary Guards Corps (IRGC) and advance their aggression.